Last year was terrible for lithium. And so far, 2019 hasn't treated them any better. 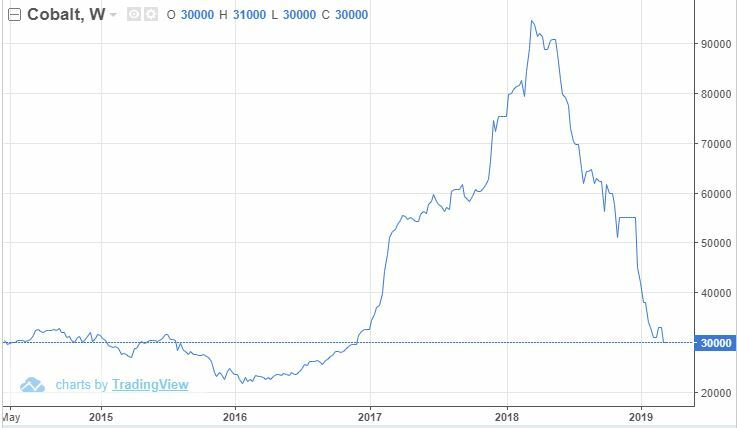 Since the beginning of 2018, the price of lithium has fallen by as much as 30%. 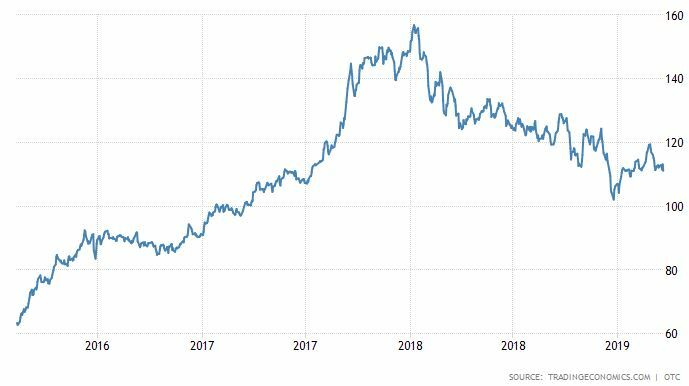 Now, the price of cobalt — another vital component in lithium-ion batteries — has plunged almost 70% since March. 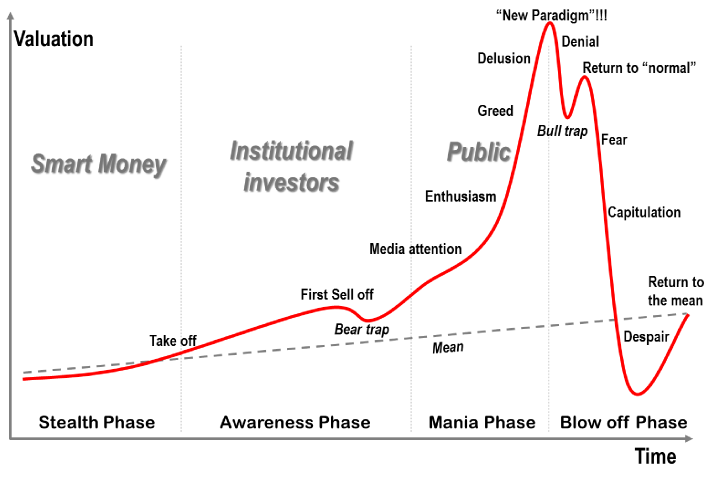 What we're looking at here is a market bubble that just popped. Well, you can put down that paper bag you're hyperventilating into because, no, a collapse of lithium prices is unlikely to follow. And there are good reasons to be confident about that. First, we should consider that lithium and cobalt are two different markets. Production of lithium is highest in South America. But economically viable lithium resources are found on every continent on Earth (except Antarctica). Cobalt production, on the other hand, is only found in a handful of countries. Half of the world's cobalt comes from the Democratic Republic of Congo alone. This makes cobalt supply much more susceptible to unplanned outages. But most important are the materials' end uses. About 40% of the world's lithium production goes into making lithium-ion batteries. The same is true for cobalt: Around 40% of the cobalt produced goes into batteries. But the remaining 60% (the majority) of each commodity is spread around different applications. Nearly 25% of lithium production ends up as grease (yeah, grease, look it up), and about 30% of cobalt production is used as a metal hardener. Point is, even though both metals are vital components of lithium-ion batteries, they have other lives outside of the electric vehicle market. So they don't affect each other very much beyond the battery space, which is limited. But maybe the main reason lithium investors shouldn't be concerned: Cobalt was hyped. Last year at this time, every financial media outlet was talking about cobalt. And all the hype created a bubble. 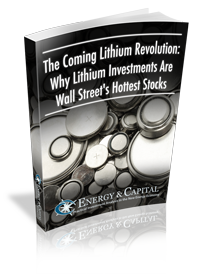 Now, lithium was hyped, too. There's no doubt that lithium was even hyped up much more for much longer than cobalt. In fact, I'd call it a gold lining. Since the price of cobalt has pulled back — and there has been a tandem downturn in lithium prices since the beginning of 2018 — we can expect the price of lithium-ion batteries to come down. That's good for consumers. But it could be a paradigm shift for the auto market overall. You see, retail prices for electric vehicles are still comparatively higher than gas-powered cars. And a lot of that price can be attributed to the EV's battery. If the recent price drop in cobalt — and tandem downturn in lithium prices — can push the cost of EV lithium-ion batteries low enough, that could be the axis at which EVs finally become comparable to gas-powered car in retail price. That's the day the electric vehicle market wins the revolution. Electric vehicles have struggled against one resistance after another. But there is no revolution without struggle. The EV's day of victory is nigh. I'd call that a pretty good gold lining.